Briggs is able to defeat the Drachman forces with ease, finally carving out the blood crest. 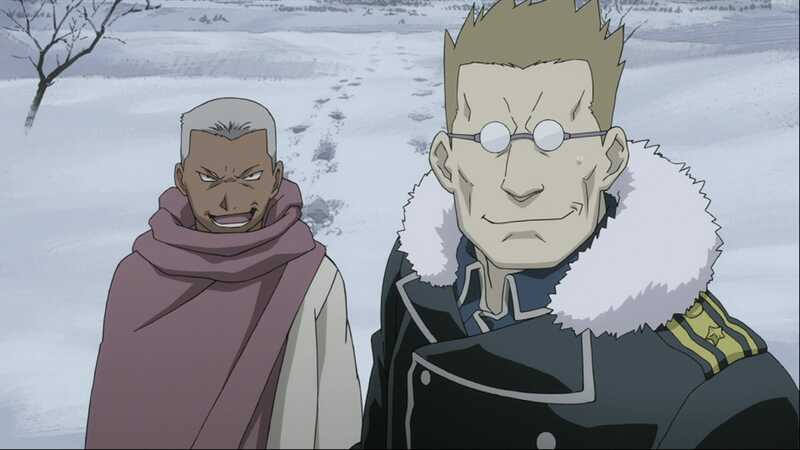 Zampano brings Envy to Marcoh, where Marcoh reveals that it was their intention from the start to lure the homunculus out there, and Envy is easily hit and outsmarted by the multiple alkahestry traps set up by May. Out of anger, Envy transforms into his true form and begins to attack the group. After being captured by the homunculus, Marcoh destroys Envy’s Philosopher’s Stone and renders Envy into a tiny, parasitic creature. Scar gives it to May and tells her to return to her country. Marcoh and Scar decide to go their own way, and Al and the rest head for Liore. In Dublith, Bido, the last remaining chimera of Greed’s, sees two military officers searching for Izumi. Thinking that they could lead him to Greed, he hides underneath their car. 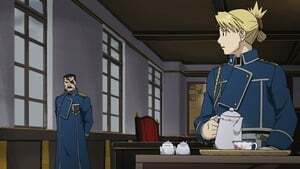 Olivier is told about Briggs’s victory, and is then shown, by one of the military’s higher ups, the secret behind forbidding human transmutation. Meanwhile, when reaching Liore, Al and co. meets with Rosé and Hohenheim.